Mark your calendars for a Mental Wellness Information Fair followed by an event focused on how parents and other caring adults can help support our young people’s mental wellness. 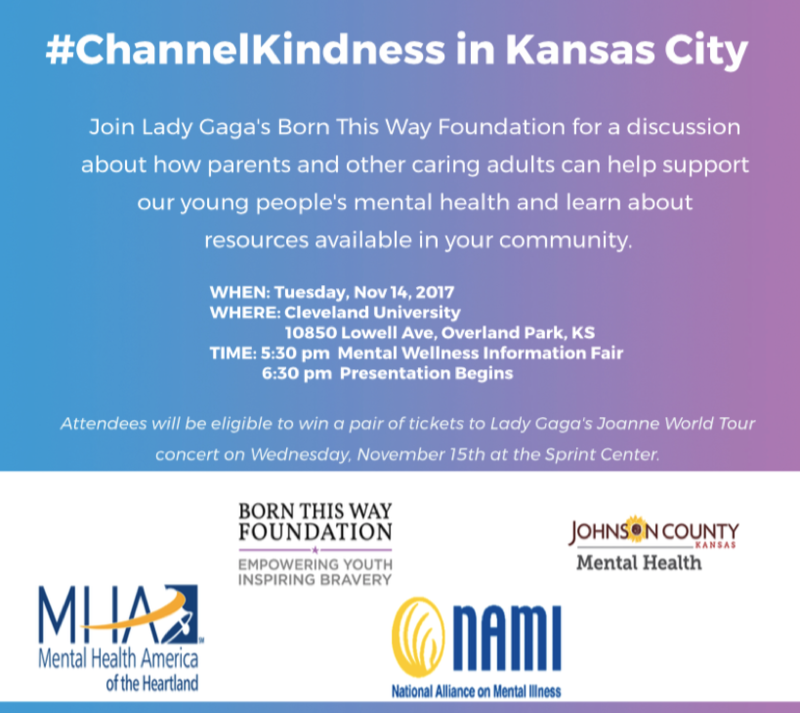 The event is part of Born This Way Foundation’s Channel Kindness Tour – a series of activations, youth-led service events, and community gatherings that are organized to coincide with Lady Gaga’s Joanne World Tour. Attendees will be eligible to win a pair of tickets to Lady Gaga’s Joanne World Tour concert on Wednesday, November 15th at the Sprint Center in KC. Please read the BTW FLYER 102517 for more details!